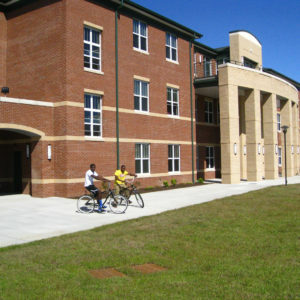 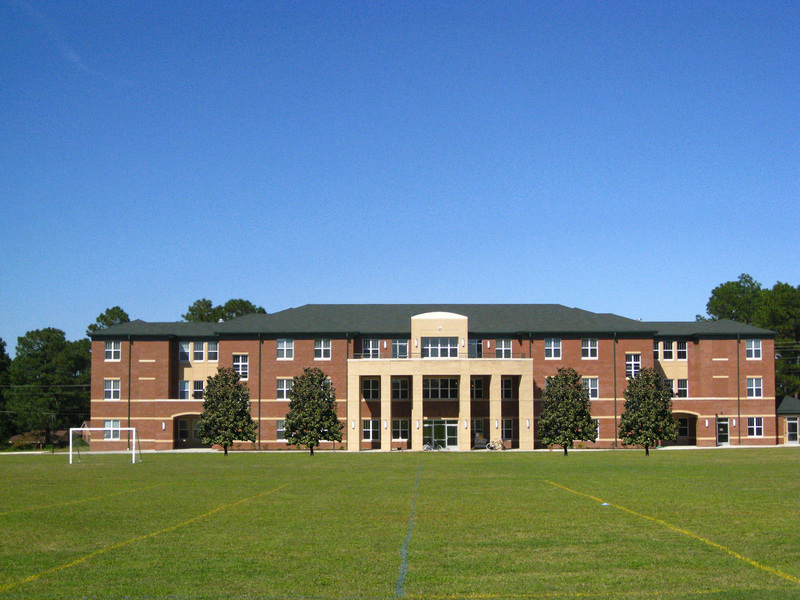 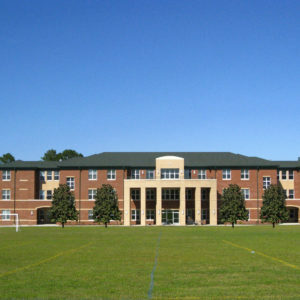 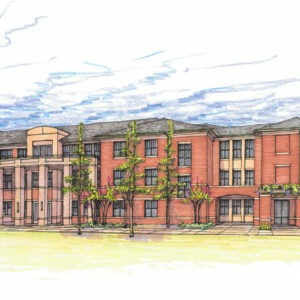 This residence hall contains 50 double occupancy rooms, with twin bunkable beds and bathrooms for each room with a two-bedroom graduate assistant’s quarters on the ground floor. 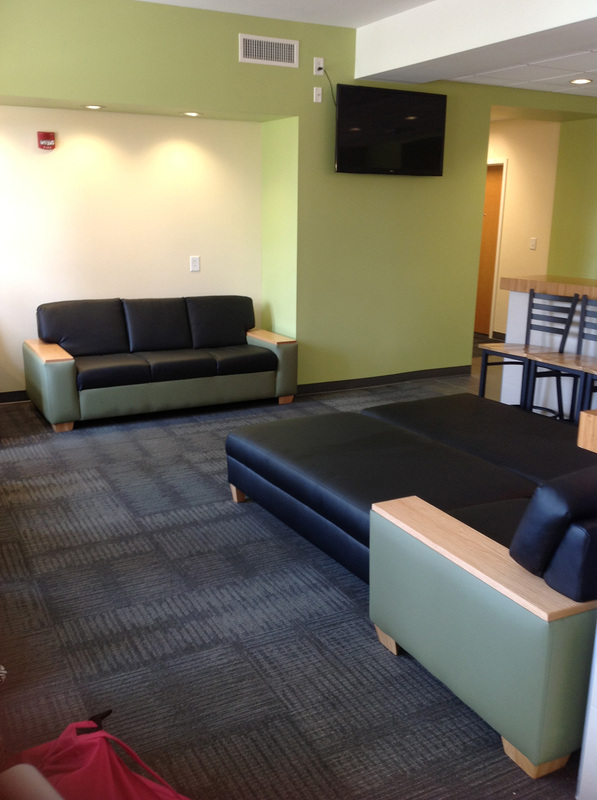 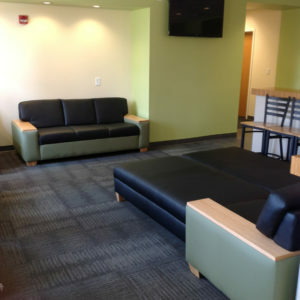 Common areas are distributed throughout the hall on each floor and include rooms and open areas for laundry, media/TV, and C-store, along with two offices and reception area for Residence Life Staff. 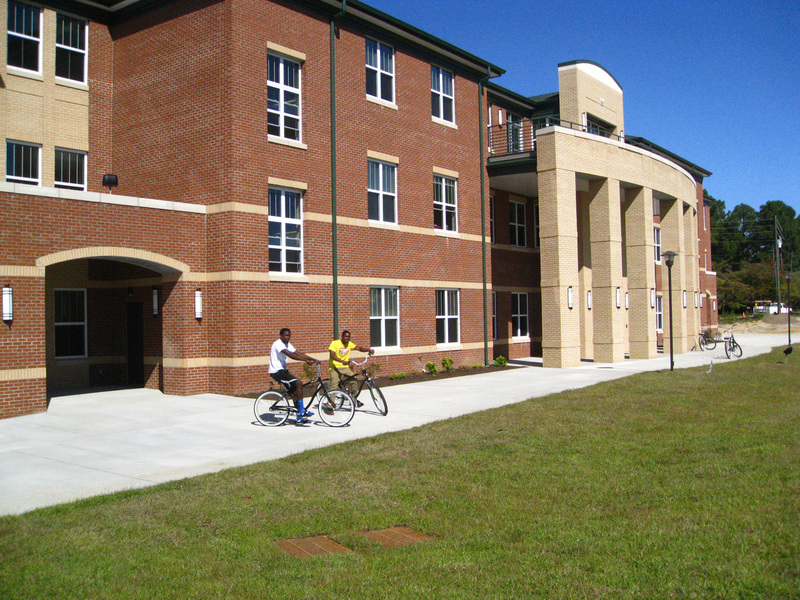 This project was programmed and designed in four months.